The Devils River is one of the best re­main­ing examples in Texas of an eco­logic­ally intact river system. A series of springs, including Finegan Springs on the shoreline of the Del Norte Unit, provides a sub­stan­tial amount of the river's flow. Three types of stream conditions char­ac­ter­ize the river: long, deep pools; wide shallow areas; and relatively deep, tur­bu­lent rapids. The river has no impoundments and limited public access. As a result, it has remained essentially primitive and unpolluted. Please help keep it that way, by practicing Leave No Trace principles. 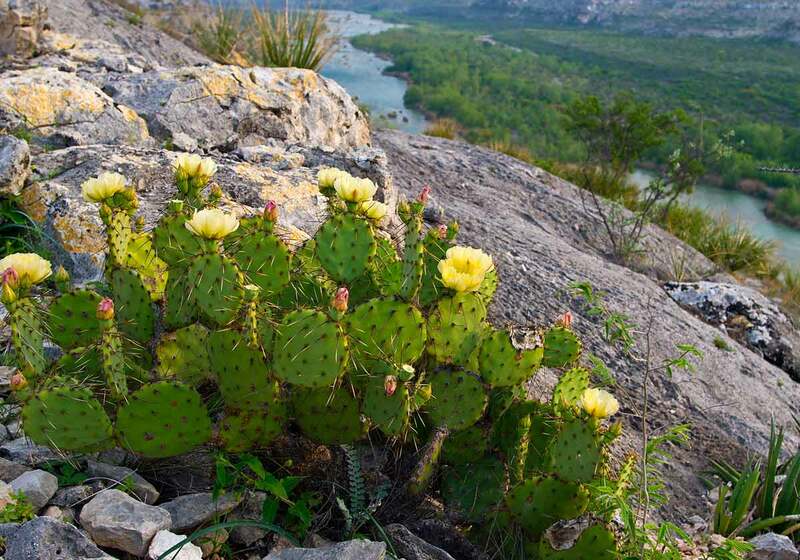 Three ecological regions meet in Devils River State Natural Area, making it biologically diverse: Chihuahuan to the west, Edwards Plateau to the north, and Ta­maul­ipan to the south and east. The natural area provides habitat for plants, fish and wildlife native to this area, including a rare salamander and several protected fish species. Large, dense stands of live oak, pecan and sycamore trees grow next to the river. Semi-desert grass­land vegetation spreads across the ridges and slopes. Numerous springs and seeps teem with mosses, ferns, herbs and vines. Several federally-listed threatened or en­dan­gered species live in the Devils River water­shed, including the Devils River min­now. Black-capped vireos are here as well; this species was recently removed from the endangered species list. Several state-listed fish species live in the river as well, including the Rio Grande darter, Conchos pupfish and Proserpine shiner. Unique genotypes of headwater catfish and largemouth bass live here, as well.